In general nearly everyone knows that with new installations based on NW750 there are no cluster tables anymore. When you migrate to HANA one prerequisite is that all cluster and pool tables have to be declustered/depooled. But is this really correct? In my last projects there were a lot of issues regarding cluster and pool tables. SUM and SWPM have not worked as expected and so some data was not migrated / depooled / declustered automatically in cause of bugs. So I want to shed some light on this topic to help to understand the usage, procedure and checks. 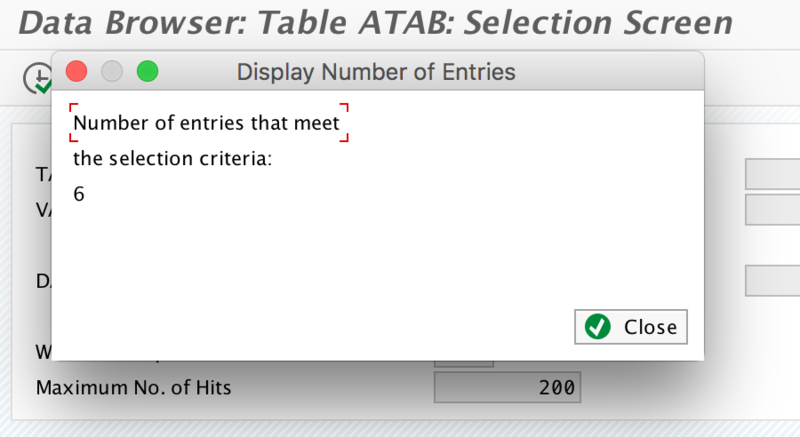 Cluster tables combine information from several tables logically belonging together. They allow efficient access to a whole application object without incurring joins on database level. This means they can only be logical read by DBSL. A normal native SQL won’t result in correct data by default. Pool tables combine a large number of individual small tables into one database table, which adressed problems with large numbers of individual database objects. This tables can be read by native SQL by default without any trouble. Do you know how many cluster/pool tables existing in an ERP EhP8 system? Have a look into table DD06L. In my system I count 162. At first it is wrong that HANA can’t run with cluster and pool tables. HANA can handle it, but it is not wise to do so for technical reasons. There are still some cluster / pool tables after the migration by default! So which tables should be declustered / depooled after migration and what exactly happens to data and ABAP dictionary? Second step after we identified the filled tables is what happens in case of declustering/depooling? 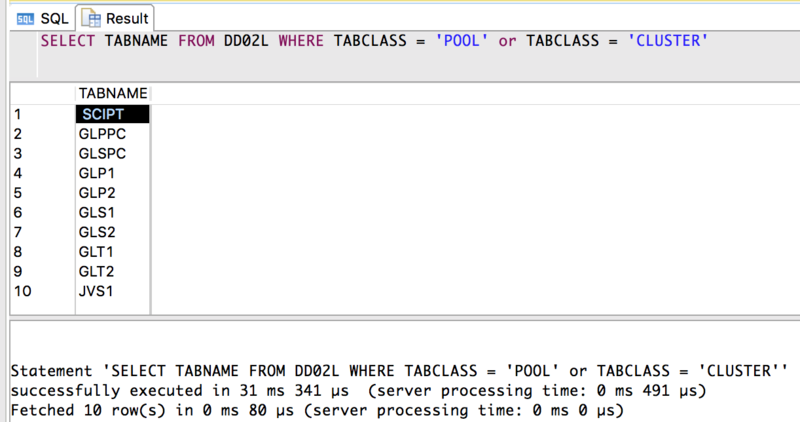 Where TABNAME is the transparent table and SQLTAB is the cluster/pool table. 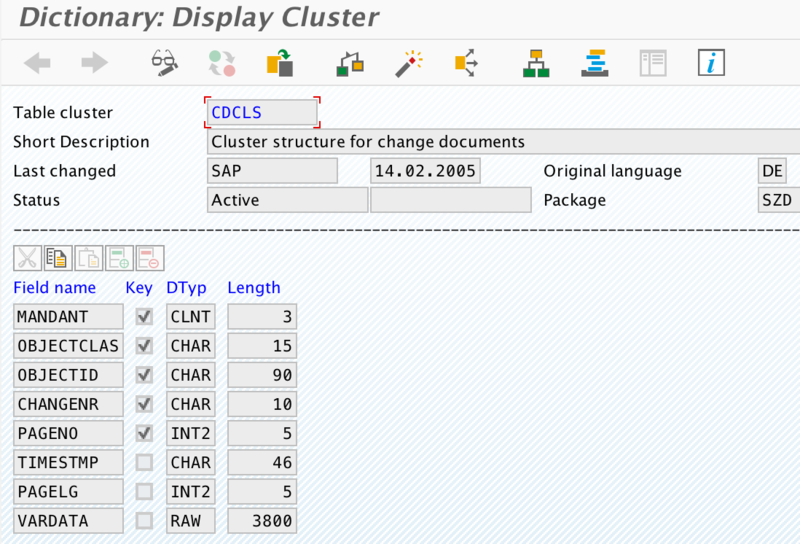 I take an example with a well known cluster called CDCLS. This one is normally one of the biggest in an ERP system. This table will be splitted in two transparent tables called CDPOS and PCDPOS. This can be done in the ABAP layer described in note 2227432 or when you use SWPM or SUM DMO in a migration procedure => also after failed migration it can happen afterwards with note 2054699. For small tables you can use the ABAP approach. For bigger clusters like CDCLS I strongly recommend to use the R3load procedure because of the size and duration. R3load is called with an option decluster=true. for cluster table a logical structure mapping will be created. The SAPCDCLS* files will be the correct files for searching for errors. These are needed and automatically created by the procedure for the logical mapping. Don’t get irretated by import/export logs as well as on things like the migration time stats from migtime. Ok, now we know the declustering and depooling happens during export. But as you know also the ABAP dictionary has to be adjusted in other case the tables are not known and can’t be used by the ABAP stack. The reports will be called automatically by SWPM (if you check declustering/depooling in dialog phase) and SUM. They will just adjust the dictionary, they won’t migrate or decluster data! This can only happen if the cluster tables are empty which should be the result of the declustering/depooling, because all data imported into the transparent tables. To check if all data were transfered successfully execute report SHDB_MIGRATION_CHECK (note 1785060). This report should always be part of your cutover procedure as postprocessing task. So if this report finished without errors AND warnings you should be fine, shouldn’t you? Seems to be wrong because the report won’t check all cluster / pool tables. Some of them are excluded for reason (see 1849890), some are just not checked. For example pool tables like KAPOL, KBPOL, UTAB. There is no official documentation for there existence as pool table on HANA. They are getting depooled but not checked by the report. May be SAP will adjust documentation and the check report in the future. There is another check on HANA with SQL statement from the SQL collection attached to note 1969700. You can use the Minichecks (HANA_Configuration_MiniChecks*) or HANA_Tables_SpecialTables. The statements will check if there are still any records in tables ‘CDCLS’, ‘EDI40’, ‘KAPOL’, ‘KOCLU’ and ‘RFBLG’ . Other once like KBPOL or UTAB won’t be checked in the current version. I currently have several customers with different pool tables which were correctly splitted and filled into transparent tables, but some entries existing in the new tables AND in the old original pool table. The dictionary structures are correct the transparent table are in use and there were no migration errors. OSS messages are still in processing why this happened… I assume that the procedure is buggy or there are technical reasons which are not offically documented. 2634739 – How to get a list about the existing pool and cluster tables in the system? I am assuming this is only an issue in SoH and not S4H or are there still clustered or pooled tables in S4? But you can also see with DD06L a pool table called ATAB is existing with entries. So yes, it is still possible in a S/4HANA system that pool tables can exist. Cluster tables also exist but they are declustered and not filled. It was a fresh installed demo21 S/4 system directly from SAP. So no errors from a migration / transformation or something like this. I’m not sure if the entries in ATAB should be there… It might not be representative for all other systems in cause of transformation errors. Thanks Jens. Can you maybe share what kind of problems, issues or regressions you have seen due to declustering and/or depooling? Yes, of course. Some bugs in SUM, SWPM and R3load led to missing data in target system. In some case the data weren’t migrated due missing SGN (R3load signal files for parallel export/import procedure) and in another case the reports for the dictionary adjustment weren’t executed which lead to filled transparent tables but the system still worked with cluster/pool tables which were empty at this point in time. Do not change your working set of tools between sandbox till prod system besides there are really bugs which take effect in your scenario not just because there might be a newer better cooler version of the tools… This can lead to new bugs. how do we handle the blob or clustr or clutsd tables which have these columns like plc2 or pcl4. Can you please specify your question a little bit more? Cluster or Pool tables are table types. Blob, Clob, clustr, clutsd, RAW, LRAW are data types for table fields, please take note that this is a big difference. The Depooling and Declustering only affects the cluster and pool table types which are defined by SAP. If you have other tables which are including such data types, this won’t be an issue on HANA. Here you can see which data types are available on HANA. For unstructured data you can use BLOB, CLOB, NCLOB, TEXT .